Ammar Khammash recently wrote an opinion piece in The Jordan Times regarding damage to a major monument in Jordan from the Roman period - The Via Nova Traiana ('Ancient Rome Reawakened', The Jordan Times, 27 December 2015: http://www.jordantimes.com/opinion/ammar-khammash/ancient-rome-reawakened). This great Roman highway was constructed soon after the annexation of the Nabataean kingdom in AD 106 and – as some of its milestones declare, Rome – under the Emperor Trajan, had ‘redacta in formam provinciae Arabia viam novam a finibus Syriae usque ad Mare Rubrum” (“turned Arabia into provincial form and built a new road from the boundaries of Syria as far as the Red Sea”). Hence the modern description of it as the Via Nova Traiana. A stretch of the Via Nova Traiana near Umm el-Jimal. 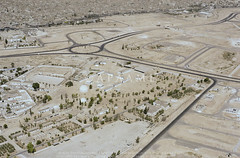 APAAME_20060911_DLK-0290. Photographer: David Kennedy. The road begins at Bostra in southern Syria then traverses Jordan from west of Umm el-Jimal in the north to Aqaba in the south. Though it bears the name of the Emperor Trajan, it is generally thought the road made use of earlier thoroughfares through the landscape, and its milestones are testament that it continued to be used well after, to the extent that sections of it are beside or underneath modern stretches of road. Well-preserved sections of the ancient road are increasingly difficult to find as development in Jordan continues at speed with the many pressures of increased demographics and modern infrastructure. In some places the road can be found complete with its paved substructure, in others only a side kerb of stones survives and paving may have never been laid; many sections are completely lost. Due to his previous research regarding the course of the road through the landscape, Khammash reports that he met the news of the new wind farm in the Tafila Governorate with trepidation, and his visitation to the area confirmed his fears. He found that the road was cut in several places by the earthworks, platforms and access roads for the network of towers. Khammash specifically reports that the Via Nova Traiana is directly intersected by the construction of turbine WTG 32. The Final Report for the proposed wind farm states that 'No Archaeological Remains' were found at this location (Table 13-2). Khammash also reports intersections or cuts in the vicinity of turbines WTG 26, 29 and 38. The first of these is also reported as having 'No Archaeological Remains' while the other two locations are from relocations to avoid other archaeological sites. By chance, the Aerial Archaeology in Jordan Project flew in the vicinity of the wind farm in transit to and from sites planned for the 5th flight of its 2015 season. Dr Robert Bewley captured the site of Kh. ad-Dabbah (JADIS:2101035; MEGA-J:4804) in passing. What you can just see in the image is the traces of the Via Nova Traiana extending from the right of the site of Kh. ad-Dabbah in the foreground to the platform of the wind farm in the middle distance. Kh. ad-Dabbah and Tafila Wind Farm. 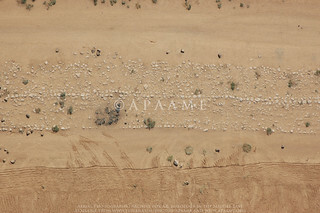 APAAME_20151013_RHB-0167. Click to see enlarged image. The Final Report documents that of the proposed 38 locations for wind turbines, 16 were changed due to concern for archaeological material (Table 13-2). Consultations and site visits through April until September of 2012 are listed in the documentation (Tafila Wind Farm Environmental and Social Impact Assessment, Stakeholder Engagement Plan, Table 3-1). Nowhere in the documentation is knowledge of a Roman road mentioned. "...Where historical monuments were found, the locations of the turbines and the roads were revised. Even though the wind farm is planned in such a way that no historical artifacts are impacted, excavation works during the project construction might reveal further archaeological remains. Thus every effort must be made during construction to prevent damages on any findings." Tafila Energy Project, Tafila Goverorate (Hashemite Kingdom of Jordan) Executive Summary, Report No. 11-1-3058f, CUBE Engineering GmbH, Al-Rawabi Environment & Energy Consultancies, 20th December 2012: 9. The literature survey may perhaps be indicative of how the knowledge of the major Roman Road did not come to mind of the surveyors: two of the major archaeological surveys conducted in the area are not mentioned in the documentation - The Tafila-Busayra Archaeological Survey and the Dana Archaeological Survey as well as a survey conducted by Prof. Zbigniew Fiema which exists as a report in the Department of Antiquities. Also of note is that nowhere could I find in the assessment documentation reference to the current SMR for Jordan - MEGA-J, only its outdated predecessor, JADIS. No comprehensive map of the distribution of these sites over the extent of the proposed wind farm is provided despite mention in passing in the Environmental and Social Mitigation Plan of numerous archaeological sites over the proposed area, a conducted survey, and consultation of aerial map surveys and experts in the field (Section 11.1). This is despite profuse inclusion of other GIS analyses in the project assessment, including a distribution of the 'best known' archaeological sites in the region which were assessed for indirect impacts. It is clear that this international funded project for renewable energy in Jordan has done an assessment of the direct and indirect impacts of the project on the archaeological landscape and made alterations to their plans to best accommodate what they knew of the archaeological and heritage environment. So how did the major thoroughfare of this part of the Roman Empire escape inclusion in their assessments? Is it simply a case that something as slight as a row of kerb stones was overlooked, or not considered substantive enough to warrant remark? An act of unconscious archaeological snobbery where a built structure is considered but a surface feature is dismissed? The reports do not tell us if the road was successfully investigated if it was discovered over the course of the construction of the wind farm. The Environmental and Social Mitigation Plan implies that his would be the case, and we for one hope there is an archaeological report on the excavation of a section of the Via Nova Traiana forthcoming. If not, we join Ammar Khammash in hoping that this destruction may highlight the importance of documenting and preserving where possible what is left of this ancient monument. Tafila Wind Environmental and Social Review Summary, http://ifcext.ifc.org/ifcext/spiwebsite1.nsf/vwAllDocumentsByUNID_NL/1E151BC4ED5004B885257AF7006F1151?opendocument, accessed 5 January 2016. Hyperlinks have been provided throughout the text. 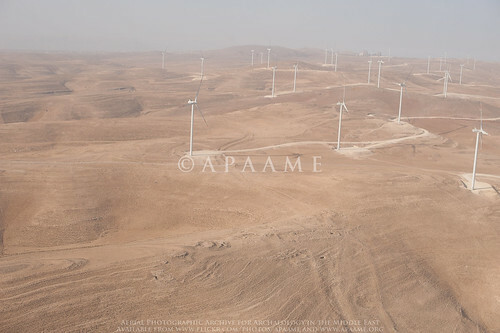 Aerial Archaeology in Jordan Project's images of the wind farm taken in 2015 can be found on the APAAME Flickr page. Other numerous aerial (and a number of ground) photographs of other stretches of the Via Nova and sites along its length can be found on the Flickr web site for APAAME by searching for “Via Nova Traiana” or “VNT”. Findlater, George Macrae. 2003. 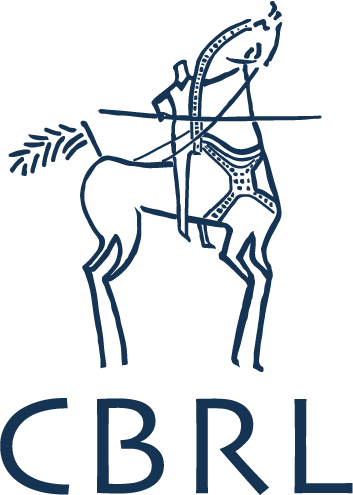 Imperial control in Roman and Byzantine Arabia: a landscape interpretation of archaeological evidence in southern Jordan, PhD Thesis The University of Edinburgh: Appendix 1 Gazetteer of Archaeological Sites of the Dana Archaeological Survey. MacDonald, B., Herr, L.G., Neeley, M.P., Gagos, T., Moumani, K., and Rockman M. 2004. The Tafila-Busayra Archaeological Survey 1999-2001, West-Central Jordan, American Schools of Oriental Research, Boston, MA. The store service is in place. I was amazed when I received the replica watch.replica omega watches uk The quality of the dial is high, the belt is very good, and the size is suitable for me.replica omega de-ville-hour-vision watches This copy watch gave me a lot of surprises and value for money.